My sister just celebrated her 16th birthday. I can’t believe my baby sister is old enough to drive now. What a trip! Well, her and her friend decided to combine their birthdays into one big party. The girls and their friends hopped in a party bus to dinner, then they got some ice cream, then it was back to the house for a pool party. I think the girls and all that were invited will be talking about the party for weeks. I guess that’s how you know you had a great party! 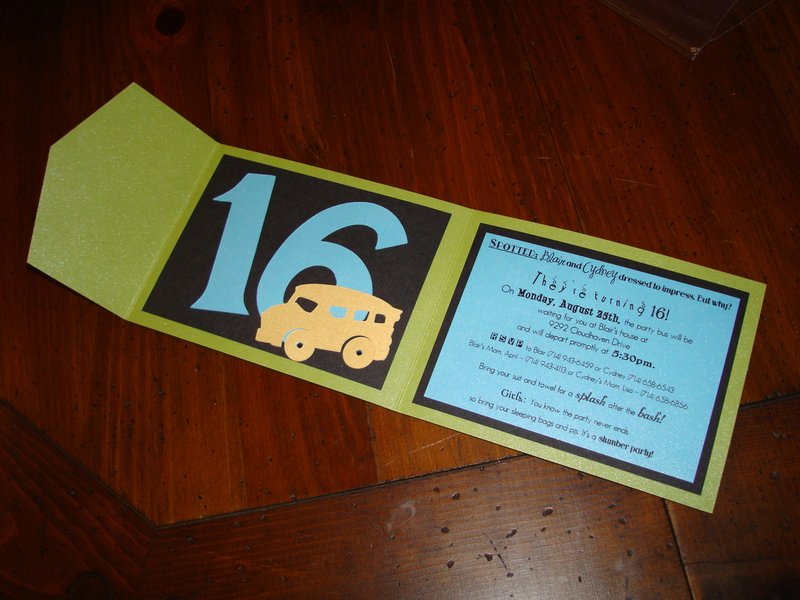 Here is the invitation I made for her party.